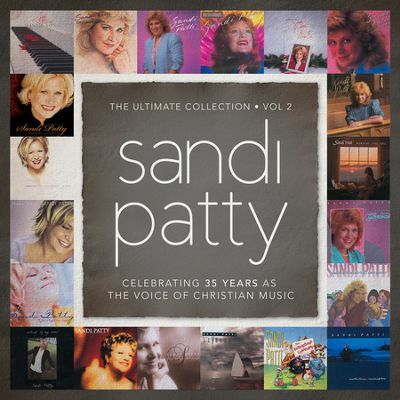 Volume 2 of Sandi Patty's THE ULTIMATE COLLECTION, features 15 of the biggest songs from the second half of Sandi's illustrious career at Word Records. As one of the most highly acclaimed performers of our time - with 40 Dove Awards, 5 Grammy® Awards, 4 Billboard Music Awards, 3 Platinum Records, 5 Gold Records, and 11 million albums sold - Sandi Patty is simply known as "The Voice." In 2014, she will celebrate 35 years as a CCM recording artist, beginning with her debut project, Sandi's Song, in 1979. Since then she has released over 30 albums and had dozens of #1 songs. The Ultimate Collection Vol 2 picks up right where Vol. 1 left off - including songs from her first Children's project in 1989, through to her final recording for Word Records, Take Hold Of Christ, in 2003. This fantastic collection has all the songs you know and love from the most celebrated female vocalist of our time!